An objet d'art as mysterious as time itself, the classique Tourbillon QP 3797BR from Breguet effects an intuitive display of the indications without compromising on the timepiece's inherent charm. 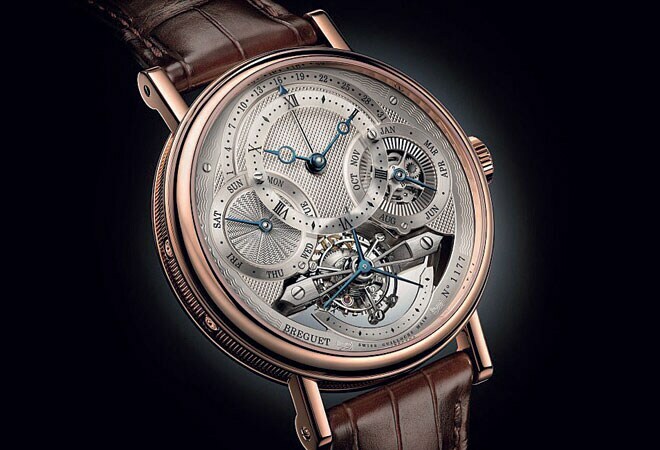 Realising that the beholder may get befuddled by the amount of information on the dial, Breguet adds a helpful third dimension by lifting the hours and minutes chapter to the foreground. Under the offset sapphire disc, an engine-turned hobnail pattern decorates the dial - overarched by the semi-circular scale of the retrograde dates. The case, in rose gold or platinum, is finely fluted around the sides. The engine-turned patterns, the unique number, hands in blued steel and the secret signature all come together to complete the features that culminate into a Breguet watch. A treat for your wrist, indeed!